Engineering has been a male-dominated field for as long as the industry has been around, and despite continued support and demand for female engineers, there is still a significant difference in the number of men and women applying for engineering-based jobs and courses. The reasons behind this discrepancy are plentiful; however, if the industry is to continue to flourish, there needs to be a significant change in how the industry approaches women in the field. More women need to be encouraged to explore the option of entering the engineering sector post-16 or else use the skills they have developed in their undergraduate studies to enter the industry at a later date. Here we’ll look at why engineering has been uninviting for women, as well as why the industry needs women now more than ever before. Why Are Fewer Women Applying for Engineering Roles? One reason for the overall shortage in female engineers can be put down to the perception of female engineers in the media and the press. Women are traditionally associated with certain careers, primarily in hospitality, administration and so on, and this is highlighted in the media to the extent that women feel less at ease entering science-based sectors such as engineering. Research has shown that women have just as much potential for success in the field of engineering, provided that they have been given the same opportunities for training, employment and progression as their male counterparts. With this in mind, the discrepancy in the number of men and women in engineering should be on the decline. Currently, less than 10% of the UK engineering sector is made up of women, a shocking statistic that further highlights the lack of gender diversity within the sector. In fact, this shortage in the profession remains one of the worst in Europe. These figures don’t align themselves with secondary school and college approaches to STEM subjects, where there is very little difference in both take up and achievement. While women aren’t actively discouraged from applying to study subjects directly related to engineering, they receive substantially less support than their male counterparts. These gender stereotypes and inequities are becoming more talked about and acknowledged, with organisations such as the Women’s Engineering Society working to offer support and encouragement to women thinking about entering the profession. Engineers use an entirely different skill base to other science-based sectors and the demand for engineering extends beyond the amount available at present. It is therefore essential that both men and women are encouraged to develop the skills needed to be a successful engineer from a young age. Both genders are just as likely to change the future of engineering and the likelihood of this happening is much higher when they work in collaboration with one another. In fact, companies are 15% more likely to perform better if they are gender-balanced. Here at Airedale Springs, we are a committed advocate for the advancement in gender diversity in engineering. We are constantly working to encourage differing routes into engineering, through the use of apprenticeship programmes. Along with this, we continue to develop the skills of our more experienced engineers through mentorship programs and further education. 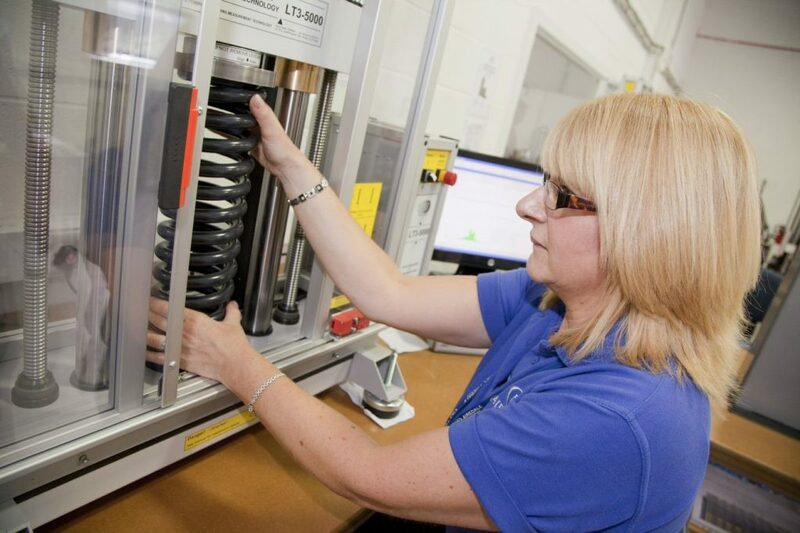 Engineers are essential to our production line, from compression spring manufacturers to production control systems, and encouraging women to join us on this remarkable journey is something that we consider to be of the utmost importance.